WASHINGTON, D.C. -- U.S. 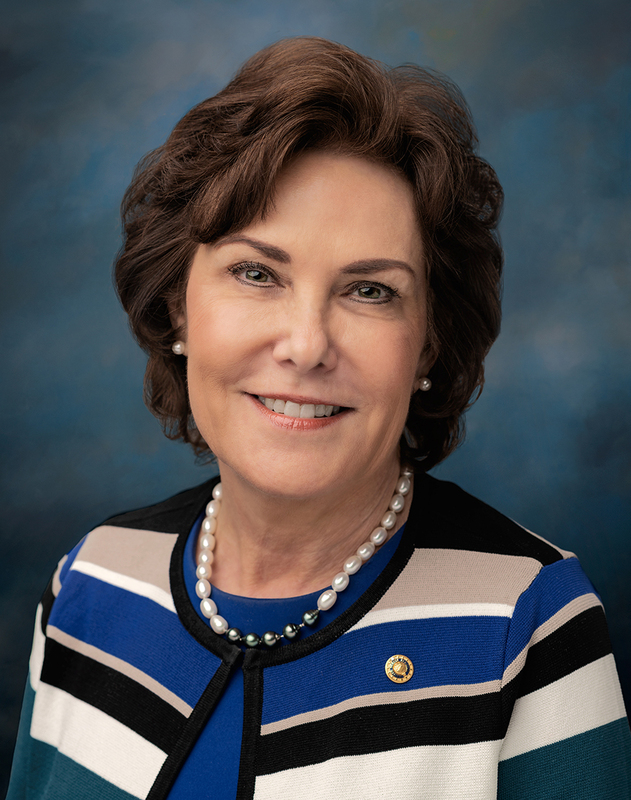 Senator Jacky Rosen (D-NV), a member of the Senate Committee on Health, Education, Labor & Pensions, joined Senator Catherine Cortez Masto (D-NV) and Senator Mike Crapo (R-ID) in a letter urging the Administration to stabilize the Medicare Advantage program that provides quality health care to 21 million seniors and individuals with disabilities. The Senators wrote to Centers for Medicare and Medicaid Services (CMS) Administrator Seema Verma requesting she consider how to strengthen the program, innovate with technology, and ensure predictability for enrollees. In addition to Senators Rosen (D-NV), Catherine Cortez Masto (D-NV), and Mike Crapo (R-ID), Johnny Isakson (R-GA), John Cornyn (R-TX), Kyrsten Sinema (D-AZ), James Inhofe (R-OK), Roy Blunt (R-MO), Doug Jones (D-AL), Richard Blumenthal (D-CT), James Risch (R-ID), Pat Roberts (R-KS), Jeffrey Merkley (D-OR), Jeanne Shaheen (D-NH), John Boozman (R-AR), Thom Tillis (R-NC), Angus King (I-ME), Brian Schatz (D-HI), John Barrasso (R-WY), Jon Tester (D-MT), John Hoeven (R-ND), Mark Warner (D-VA), Amy Klobuchar (D-MN), Todd Young (R-IN), Marsha Blackburn (R-TN), Michael Bennet (D-CO), Bob Casey (D-PA), Rob Portman (R-OH), Cory Gardner (R-CO), Gary Peters (D-MI), Tina Smith (D-MN), Cindy Hyde-Smith (R-MS), Lamar Alexander (R-TN), Joe Manchin (D-WV), John Kennedy (R-LA), Susan Collins (R-ME), Mazie Hirono (D-HI), Rand Paul (R-KY), Roger Wicker (R-MS), Thomas Carper (D-DE), Deb Fischer (R-NE), Marco Rubio (R-FL), Ben Sasse (R-NE. ), Bill Cassidy (R-LA), Christopher Murphy (D-CT), Tom Cotton (R-AR), David Perdue (R-GA), John Thune (R-SD), Shelley Capito (R-WV), Steve Daines (R-MT), Ron Johnson (R-WI. ), Lindsey Graham (R-SC), Tim Scott (R-SC), Michael Rounds (R-SD), Dan Sullivan (R-AK), Joni Ernst (R-IA), James Lankford (R-OK), Mitt Romney (R-UT), Richard Burr (R-NC), Michael Enzi (R-WY), Tom Udall (D-NM), Martin Heinrich (D-NM), Martha McSally (R-AZ), Josh Hawley (R-MO), Mike Braun (R-IN), and Kevin Cramer (R-ND) also signed onto the letter.